Carrollwood Bible Chapel actively supports a number of missionary efforts around the world. Currently, Carrollwood continues to commend Gavin and Eleny Aitken and the work they are carrying out in the will of the Lord in São Paulo, Brazil. Since 1965, brother Gavin Aitken has been faithful to the Lord in serving Him in the country of Brazil in the city of São Paulo. Brazil is the fifth largest country in the world and covers about half of the South American continent. Brazil's official language is Portuguese and its population is approximately 195 million. 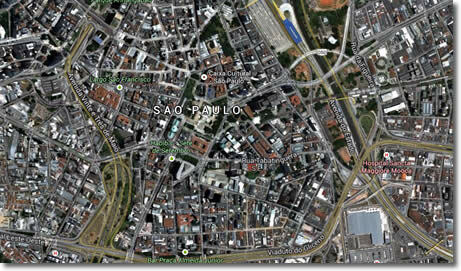 São Paulo, where Gavin and his wife Eleny live is the industrialized heart of the country. The Lord has led them to start several ministries involving educating, discipling and counseling the people of São Paulo and surrounding areas. They are also involved in the Chaplaincy Ministry. Brazil is primarily Roman Catholic (about 65%) which was brought over by the Portuguese when they discovered the land. However, there is freedom of religion and cults have taken real advantage of this. Spiritism is very strong in Brazil, which claims to be the largest spiritist country in the world. The main force is Pentecostalism which has lead to much confusion and problems rather than doing much good. There is about 800 assemblies in Brazil and there are more than 104 national workers. Please continue to pray for Gavin & Eleny and their ministry in Brazil.